In October, the BCCI brought in a mid-season transfer rule for players whose parents are government employees. 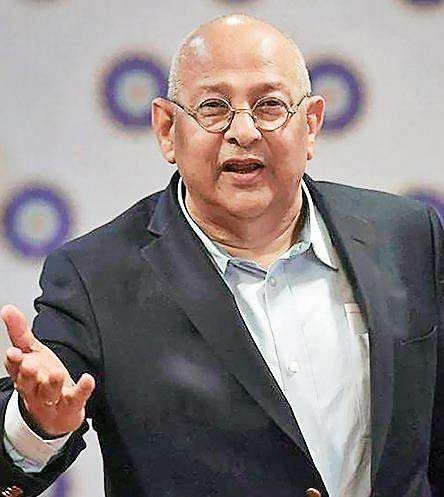 CHENNAI : Nearly two months after Syed Saba Karim, on the instruction of Committee of Administrators head Vinod Rai, brought in a mid-season transfer rule, BCCI secretary Amitabh Choudhary has questioned the move. Not just that. He has termed it unauthorised and unconstitutional.In a mail addressed to BCCI general manager Karim, CEO Rahul Johri, the office-bearers and technical committee chairman Sourav Ganguly, Choudhary has questioned the way the CoA is running day-to-day affairs, given there is serious difference of opinion between Rai and Diana Edulji. In October, the BCCI brought in a mid-season transfer rule for players whose parents are government employees. In this rule, a player can shift to another domestic team if one of his parents is transferred to another state. Finalised without the technical committee’s approval, this move first saw BCCI treasurer Anirudh Ch­a­udhary writing to the secretary about his grievances. Chaudh­­ary went on to explain how the rule change benefited only two players. The players are Tripura’s Pratyush Singh, who played for Jharkhand earlier. He sought a transfer citing his father, an IPS officer, was posted to Tripura. Curiously, his brother Utkarsh Singh continues to represent Jharkhand.The second player is Rohan Choudhary, who sought a transfer to Mizoram, as his father Kutub Uddin Chowdhury, employed with New India Assurance, is posted in Aizawl. The BCCI secretary’s mail mentions that Rohan’s father has been posted in Aizawl since 1989 and hence he doesn’t need a transfer to play for Mizoram.